Dating back 5000 years. yoga is the oldest defined practice of self-development. Ancient Yogis had a belief that in order for man to be in harmony, he had to integrate himself as a whole, from skin to soul. The yogis formulated a way to achieve and maintain this. The results of which we know today as classical yoga. which include ethical disciplines, physical postures, breath control and meditation. Yoga is both a practical and experiential philosophy. In the beginning it can be helpful to think of Yoga as being a means of creating space; space in joints, length in muscles and space in our lives. It starts by just becoming aware of our bodies in space, and extends to becoming aware of our souls in the world, how we operate and what impact we have on ourselves, and others. Yoga is an ancient practice, which has stood the test of time to become a most valuable tool to navigate modern life. Iyengar Yoga has a highly developed teaching methodology, which is regulated and upheld universally. At its center is the mission to provide a safe and systematic progression of yoga postures to develop each student’s ability and skill, both within each class and from class to class. The sequencing of these classes is structured so as to develop strength, flexibility, stamina, concentration, and body alignment. Students are encouraged to be mindful of their abilities and limitations and work appropriately. Internationally acknowledged as a modern master of yoga, B.K.S. Iyengar is universally honored for his understanding and teaching of the art and science of yoga, giving equal measure to the creative exploration, as to the importance of scientific precision. He travelled, taught and performed yoga demonstrations all over the world, touching and transformed the lives of numerous people. He is the author of “Light on Yoga”, considered one of the most authoritative modern yoga texts, and numerous other exceptional reference works. B.K.S. 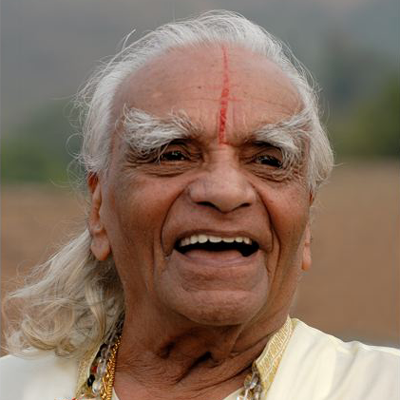 Iyengar’s lifetime of practice gave him an ability to guide us through the different stages and struggles of life. In addition to providing a template of study for those with strong physical ability, B.K.S. Iyengar is a pioneer in the therapeutic applications of yoga. Medical professionals in many different disciplines and countries have recognized his expertise and efficacy. Guruji, as he was known by his students, was a Yogi with an extraordinary physical practice himself, right up to the time he passed away, at the age of 95 in August 2014. Through his own struggle and commitment to a constant diligent practice, he made yoga accessible to and relevant for all. He revolutionized yoga by introducing yoga props, which enabled students who were unable to achieve a pose unaided feel its benefits. The intelligent selection and modification of the postures themselves is also a hallmark of his method. This enables students of all abilities to work to their greatest potential and overcome difficulties of many kinds. 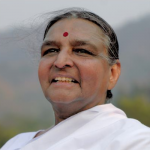 To this day we can [earn from him through reading his famous books or by traveling to the Ramamani Iyengar Memorial Yoga Institute (RIMYI) in Pune, where Guruji’s daughter and son Geeta and Prashant Iyengar, teach and refine this constantly evolving method. Teachers and practitioners from all over the world come regularly to hone skills for their own development and to take back to their own Iyengar Yoga Communities. In Guruji’s method and teaching we find a golden thread that connects us with the ancient practice of yoga.